Apple's Mac OS X is the second most widely used operating system after Windows and no surprise that many Java programmer use Macbook Pro for Java development. Mac's UNIX-like feature is added advantage because most of the real world Java servers runs on UNIX-based systems e.g. Linux or Solaris. In order to run Java, two things are most important, PATH and CLASSPATH. In order to use Java from the command line, you also need to define JAVA_HOME or JRE_HOME, many Java-based programs and tools use these environment variables to access Java e.g. Maven, Tomcat or Eclipse. Since Java is an optional package on the latest version of OS X, starting from OSX 10.7 (Lion), you need to either install Oracle JDK or choose this optional package. In this article, you will learn how to set JAVA_HOME environment variable in different Mac OS X versions e.g. Actually steps are exactly same (if you are running on Mac version greater than 10.6), you don't need to do anything special depending upon your version e..g Mavericks or Yosemite. You can follow same steps to set JAVA_HOME environment variable. Just remember to use option -v to set JAVA_HOME to a particular version of JDB, of course, it's only useful if you have multiple JDK installed on your MacBook Pro. to import new environment variables. In short, you can specify the JDK version using -v option of java_home, of course, you need to download and install corresponding JDK version. 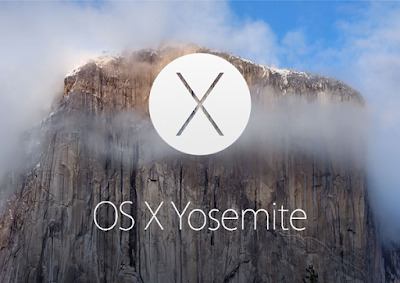 That's all about how to set JAVA_HOME environment variable in Mac OS X system. From version 10.6 onward, it's recommended to set JAVA_HOME variable using /usr/libexec/java)home and not using something like /System/Library/Frameworks/JavaVM.frameworks/Version/1.6.0_22/Home, which is subject to change from release to release. In order to set PATH just add this JAVA_HOME/bin into PATH. These steps work in OS X version Lion, Mountain Lion, Mavericks, Yosemite, and even in beta version of latest Mac version OS X El Capitan. Don't forget to set JAVA_HOME using option -v if you have multiple Java version installed in your Macbook. You can also see man java_home for further details. Let us know if you face any problem while using Java in Apple's Macbook Pro and we'll try to help.